With the continuous changes in the lifestyle of modern people, health problems come one after another. Among them, the sleep problem is the primary problem of health problems. It not only affects people’s physical health, but also affects people’s academic performance, work, and life. In order to sleep problems solution , the PEGASI Better Sleep science team has introduced cutting-edge technology from the United States. It is jointly developed with the Johns Hopkins University, the University of Science and Technology of China, Aerospace Shenzhou Biological Group, and HKUST News to jointly optimize sleep. The dilemma of black technology products – PEGASI sleep better smart sleep glasses, designed to help people suffering from sleep disorders, but also in the recent Nasdaq big screen in Times Square, stunning the international market with black technology. Times Square is located in Manhattan, Midtown, New York City. About 500,000 people pass through Times Square every day and are called “the crossroads of the world.” As the forerunner of China Sleep Optimization Brand, PEGASI has successfully landed on the Nasdaq Grand Screen of Times Square with its own brand influence and technical advantages. It has demonstrated to the world PEGASI’s best-sleeping brand image to the global people. Declares confidence in China’s sleep industry. For each individual’s different sleep problems, PEGASI smart sleep glasses can be adjusted from sleep monitoring to sleep, custom personal sleep optimization program. It not only sleep problems solution such as insomnia, dreams, early wake, etc., but also have the effect of adjusting jet lag. PEGASI is sleeping on the heels of brand, product and marketing, while continuing to stand at the user’s point of view to increase investment in scientific research, and further feature extraction of healthy big data, optimization of closed-loop monitoring and control system algorithms, and continuously improve services. Such as PEGASI times better to sleep new products, engineers optimize their product structure, to achieve the temples can be folded, power display technology, color matching on the introduction of men’s pearl black, universal ivory, feminine cherry blossom powder and other colors, regardless of From the appearance or performance to better meet consumer needs, bring a better user experience. 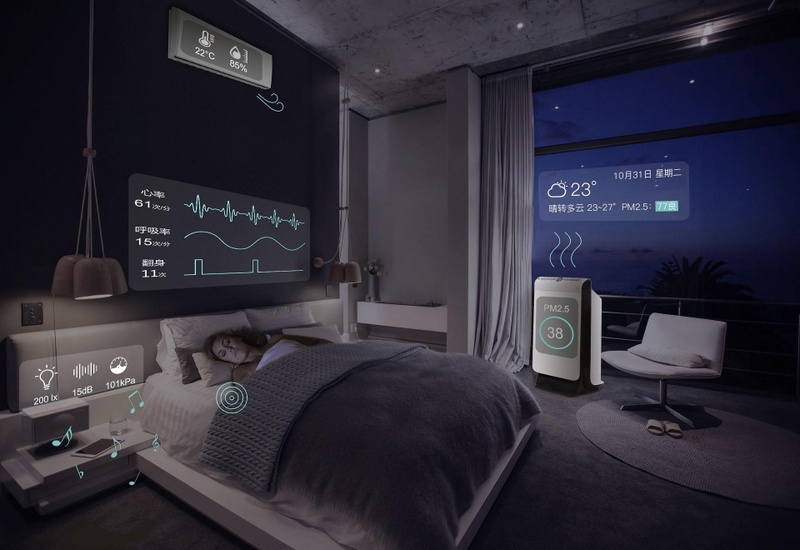 From the exploration of the Internet + home, and then to the construction of the smart home industry chain, PEGASI sleeps better and continues to try. In the future, PEGASI Best Sleep will launch the “Cloud AI+ Health Platform” system to achieve sleep habit monitoring and health analysis, early screening for apnea syndrome, and cardiovascular and cerebrovascular disease risk assessment and early warning. The AI ​​technology is applied to the medical and health field, and the user’s sleep health index is evaluated and analyzed, and the heart and lung diseases during sleep are pre-warned to create a new family health experience in the future. With the user as the core, PEGASI will adhere to the original intention of the one-stop sleep customization service, continuously improve the hardware and software structure of the product, increase the diversity of product services, and gain insight into user needs. This time landing at Times Square in the United States is just a beginning. In the future, PEGASI will continue to serve the global users with the goal of meeting the needs of users all over the world. It is committed to becoming a first-class sleep optimization service provider and building a global co Win a healthy ecosystem. Pegasi glasses will be always on the way to sleep problems solution, say goodbye to sleep disorder with black technology .